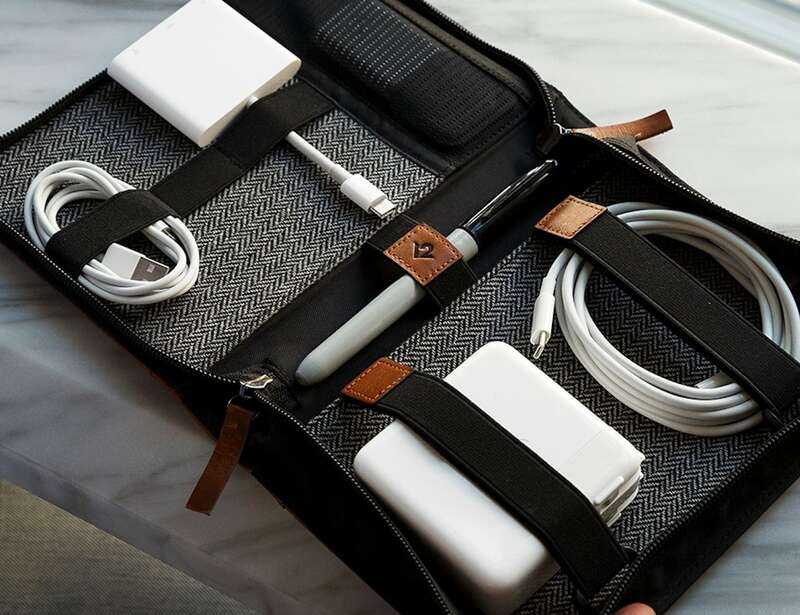 Carry your Mac accessories in style with the Twelve South Journal CaddySack Luxury Leather Travel Tote, including cables and adapters. 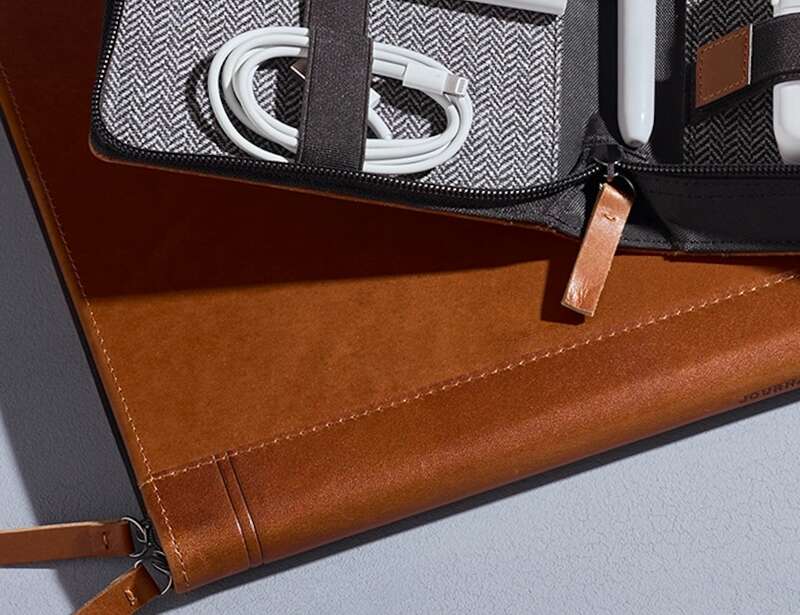 Carry your Mac accessories in style with the Twelve South Journal CaddySack Luxury Leather Travel Tote. 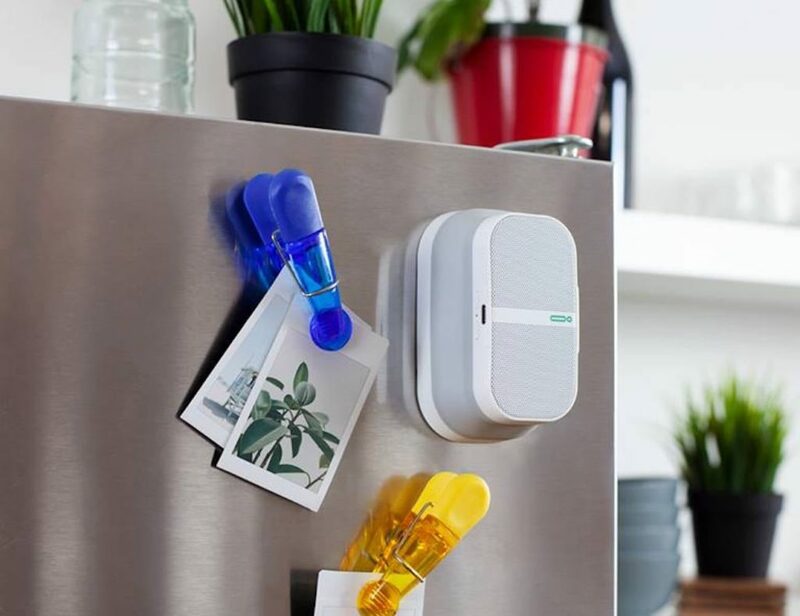 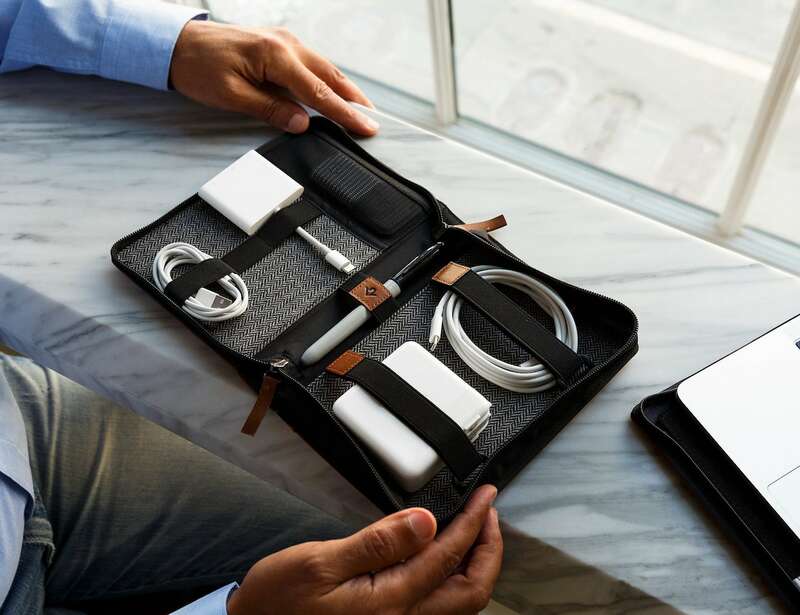 This small case provides a place to store your essential Apple accessories, including cables, adapters, and a MacBook power adapter. 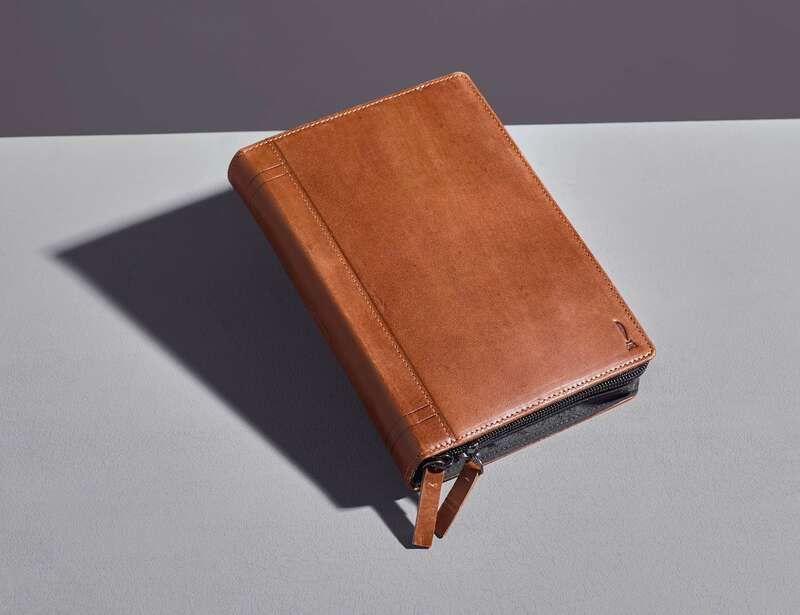 Inside the Journal CaddySack is a collection of Velcro straps and elastic bands to keep your accessories in place. 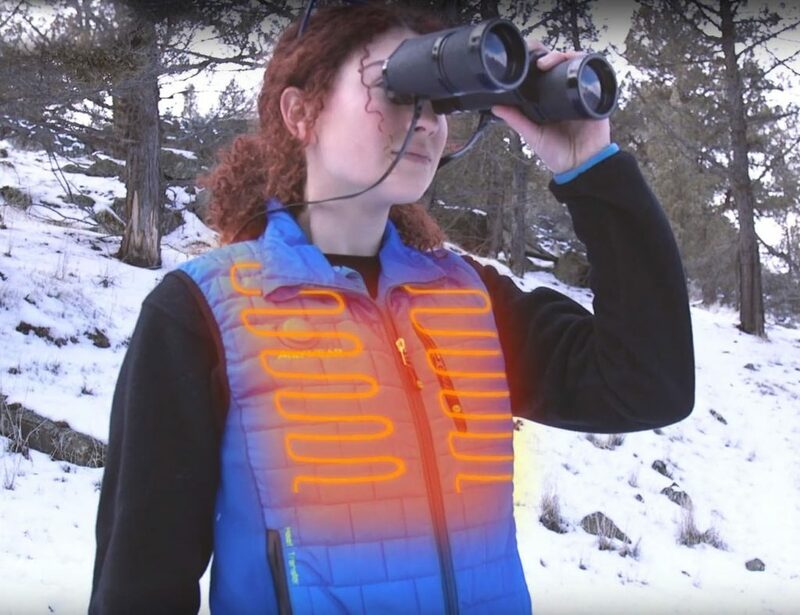 Likewise, it comes with a pocket for smaller items. 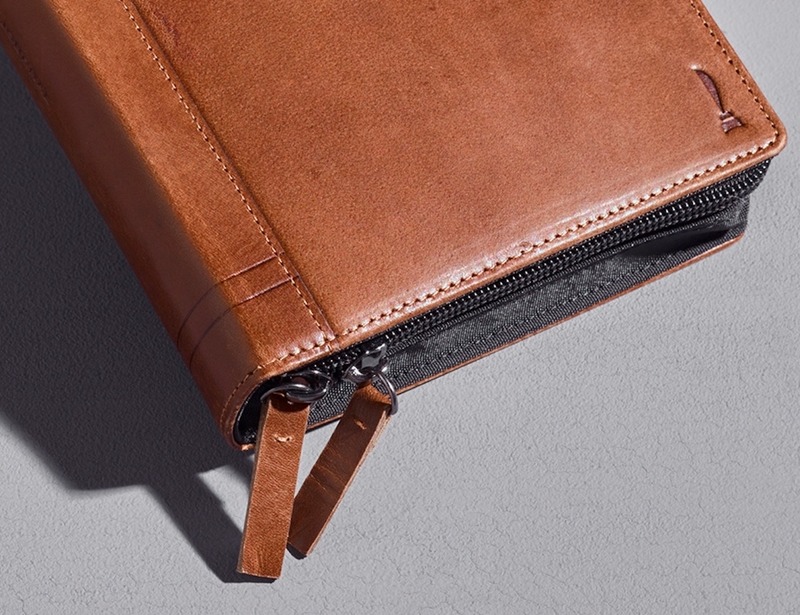 To top it off, the soft tweed fabric lining helps keep your accessories looking their best. 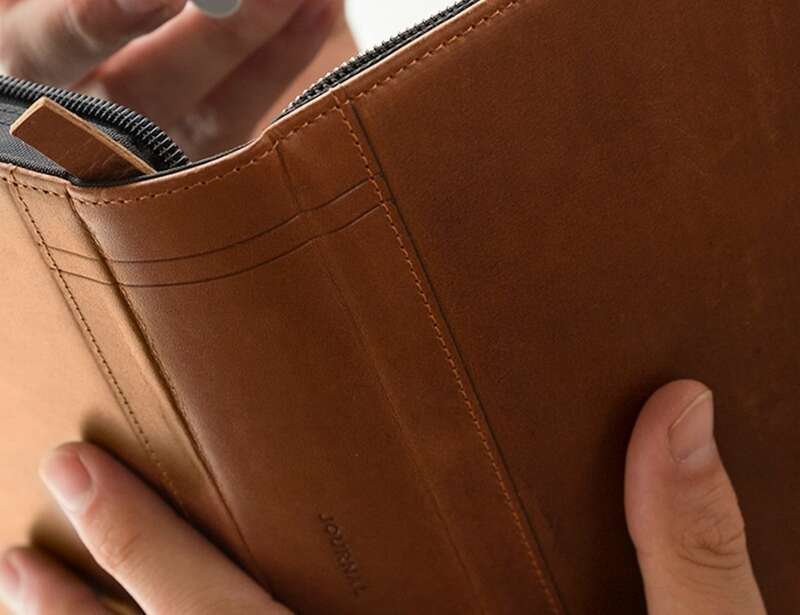 Made of full-grain leather, the compact tote is a must for Apple lovers. 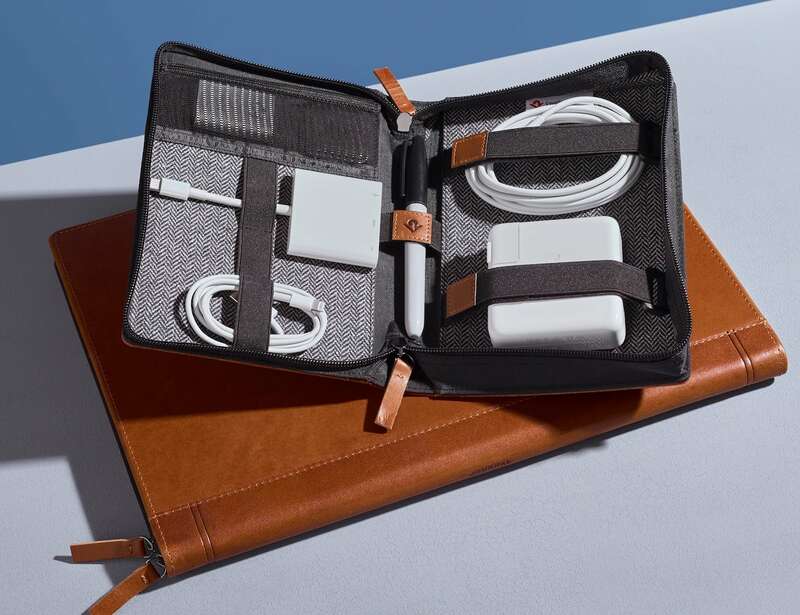 In addition, the luxury leather travel tote matches the Journal iPhone Case and Journal for MacBook from the same brand. 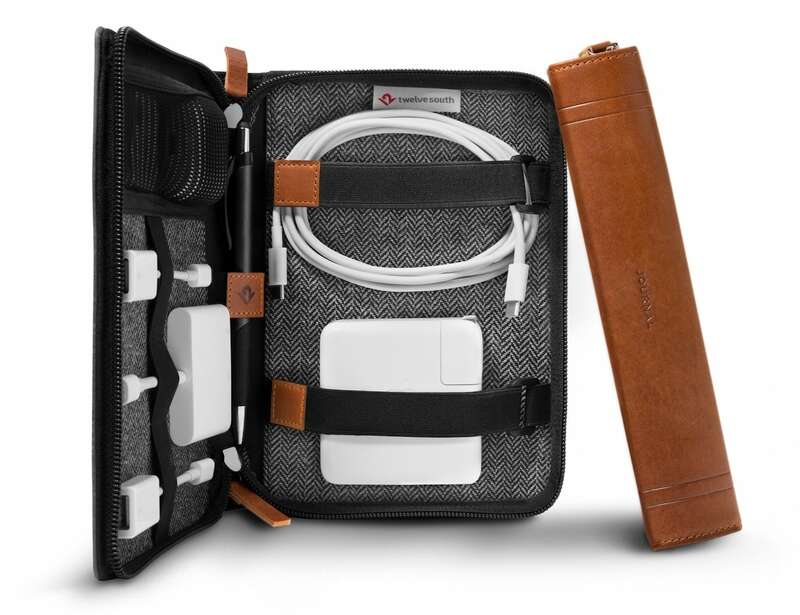 Ideal for business travelers and commuters, the Journal CaddySack stylishly protects your Apple accessories on the go.
" 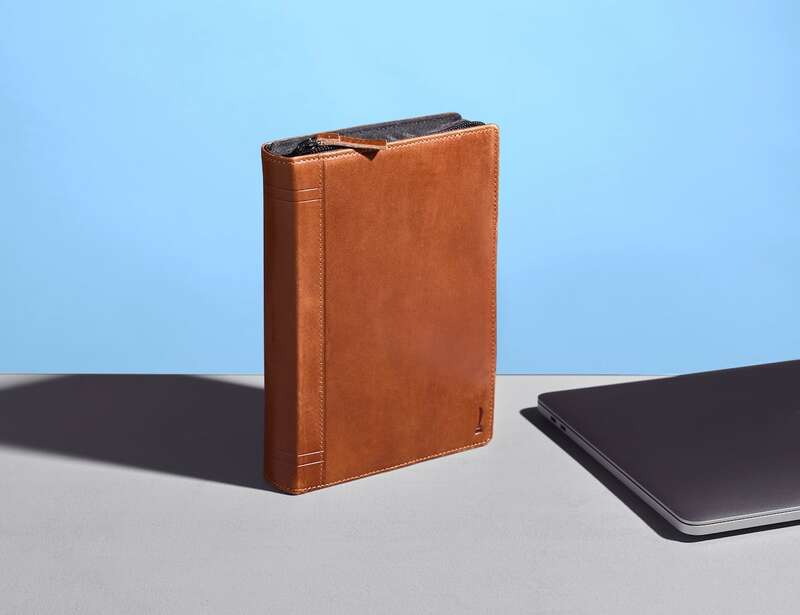 Staying organized has never looked so sophisticated. "